Each image below is available from the gallery at the special price outlined in the size stated only. They can be picked up directly from the gallery or shipped anywhere in the world (Email for a shipping quote). If you have questions about an image, or would simply like to purchase it click on the email link. Un-stretched (Rolled in a tube). Sale Price is $1,020. 40% discount. Already stretched (Black Border) and ready to hang. Sale Price is $1,044. 40% discount. Sale Price is $915. 40% discount. If you arrive here at the right time of day you can have the whole place to yourself. This morning, when the light was clear and beautiful, and there was not even a breath of wind, I was in the gorge at dawn. I didn't see another soul for almost 3 hours. 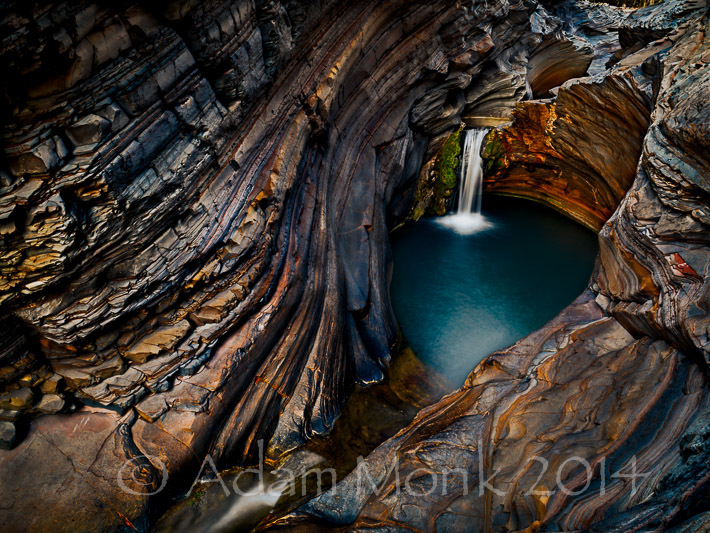 Windjana Gorge, Kimberley, Western Australia. or traditionally framed behind glass. This Image is unframed and rolled, ready to frame. Sale Price is $1080. 40% discount. The mighty Pentecost River, home to huge unfriendly crocodiles, and the much sort after Barramundi fish, flows to the tidal waters of the Cambridge Gulf in the far north of Western Australia. This river is a milestone crossing for the beginning or the end of a great adventure for those who travel the rugged Gibb River Rd. 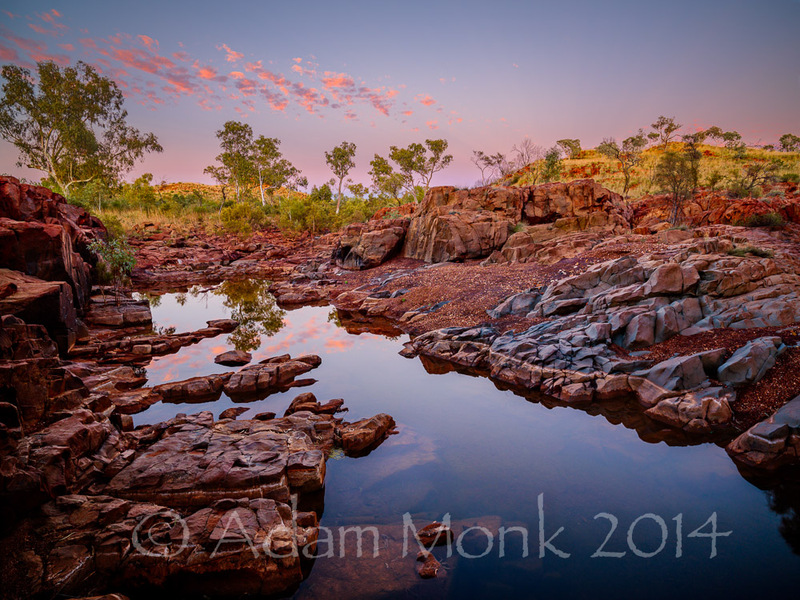 East Kimberley, Western Australia. Framed in a Jarrah colour timber frame with a white matt. Matching frame to kim054 below. Sale Price is $280. 30% discount. A Lone boab tree at sunset. Mornington Station, Kimberley region, Western Australia. Matching frame to kim011 above. Unstretched (Rolled in a tube, ready for stretching. Sale Price is $600. 40% discount. Last few minutes of sunset back-lights the Spinifex at Mabel Downs Station on the way in to Purnululu National Park. East Kimberley region of Western Australia. Spinifex is an amazing plant, in the right light it can look soft and fluffy, even good to lay down on. It's Not! Sale Price is $1,070. 30% discount. Unstretched (Rolled in a tube, ready to stretch). Sale Price is $395. 50% discount. Sale Price is $1,125. 40% discount. Unmounted, rolled ready for framing (Easy to Post). Un-stretched (Rolled in a tube, ready to stretch). Limited Edition of just 50 images. Sale Price is $775. 40% discount. A soft winter's sunset after a windless day at Cottesloe Beach in Western Australia. The famous Cottesloe Beach, pylon, or "Bell" as many people call it is actually one support from a failed attempt to stretch a Shark Net across the bay many years ago. It is now iconic of Cottesloe Beach and has been rebuilt several times after toppling over in winter storms. Early morning light on the spectacular spinifex country of the Rudell River National Park. One of the most isolated National Parks in Australia it is seldom visited and the sense of vast untouched landscape is almost overwhelming. Its a place where you can really be by yourself! Stretched and Framed with a Black timber shadow Frame. Sale Price is $1,030. 40% discount. Spa Pool in the pre dawn light. Hamersley Gorge is a part of Karijini National Park that many people skip because it's out of the main park and a couple of hours drive away. That's a shame, because it is for me one of the main highlights of that spectacular place. Limited Edition of just 20 images. Sale Price is $910. 30% discount. Sale Price is $774. 40% discount. Unmounted, rolled ready to frame. Sale Price is $897. 40% discount. Inviting clear blue waters of Bremer Bay, in the Great Southern Region, South coast of Western Australia. I nearly drowned my camera several times getting this shot! The wave was not big, but it was over the height of the camera positioned on the tripod in front of it, so it was a fine balance in timing of firing the shutter, then yanking the camera and tripod out of the path of the wave and holding it all above my head. I then got soaked up to the shoulders. The Stirling Ranges at sunset shot from the Western slope of Mount Trio. After a long and gruelling climb up the steep and broken path of Mt Trio on a grey and stormy winter's day it seemed like I wasn't going to get any sunset at all. But after a short wait I was rewarded with this spectacular sunlight display under the cloud cover, it lasted for about 2 minutes. Stirling Range National park, South Coast of Western Australia. Rolled in a tube and ready to stretch. Sale Price is $1,075. 20% discount. Stretched and Framed with a Light timber Frame. Sale Price is $2,180. 20% discount. The Stirling Ranges looking West at sunset shot from the peak of Bluff Knoll. The day after climbing Mt Trio, which is visible off to the right in this image, I climbed Bluff Knoll. It's been many years since I climbed Bluff Knoll and I'm sure it's become a lot higher and a lot steeper in the between years. The spectacular view and sunset was worth it! Stirling Range National Park, South Coast of Western Australia. Spring evening sunset light at Greens Pool, William Bay National Park. Great Southern Region, South coast of Western Australia. Sale Price is $510. 40% discount. 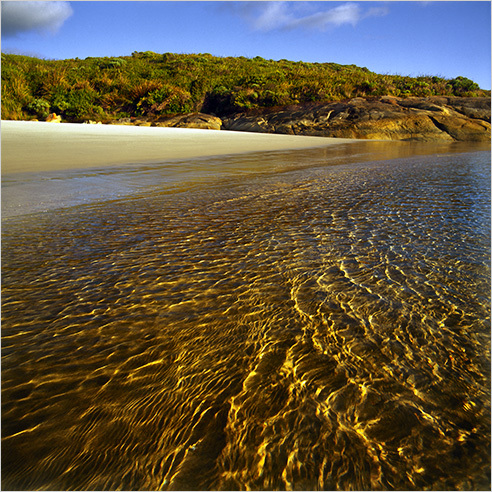 The Southern Ocean gently strokes the granite foreshore. Softly today; savagely tomorrow. 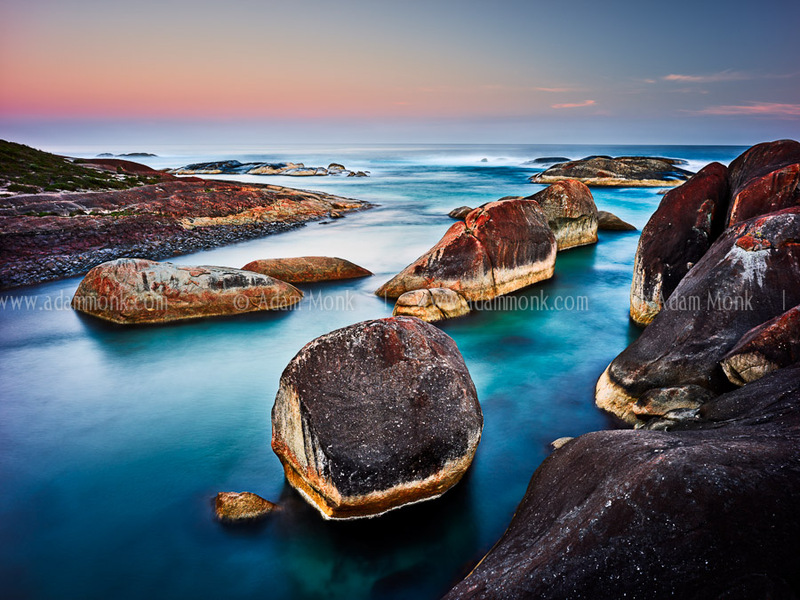 Greens Pool, William Bay National Park, South Coast of Western Australia. Sale Price is $835. 40% discount. Printed on Fujiflex archival paper, rolled ready to frame. Sale Price is $550. 45% discount. 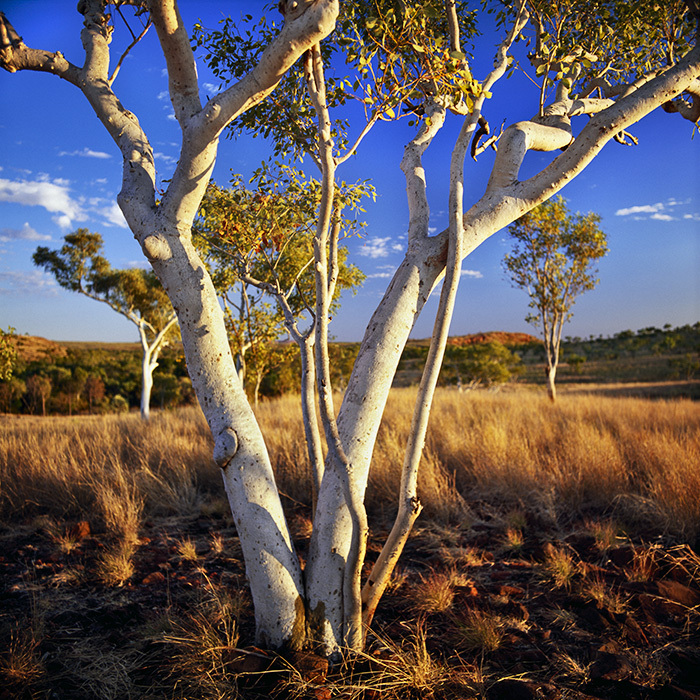 The slow growing Snappy Gum can be found scattered throughout the Kimberley and Pilbara regions. 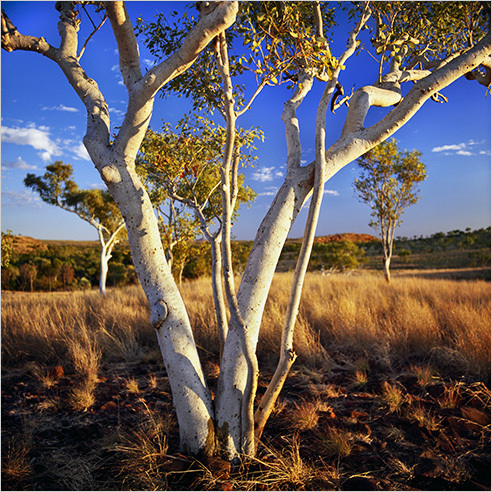 The stark white bark has a unique luminous quality, especially in the magic hours of dawn and dusk. Mornington Station, Kimberley, Western Australia. Sale Price is $550. 30% discount. Madfish Bay at dawn. I wandered in the pre-dawn light, in shore and 50 metres out, where the waves barely lapped at my knees. It was so magical, and I stayed so long I managed to get sunburnt. 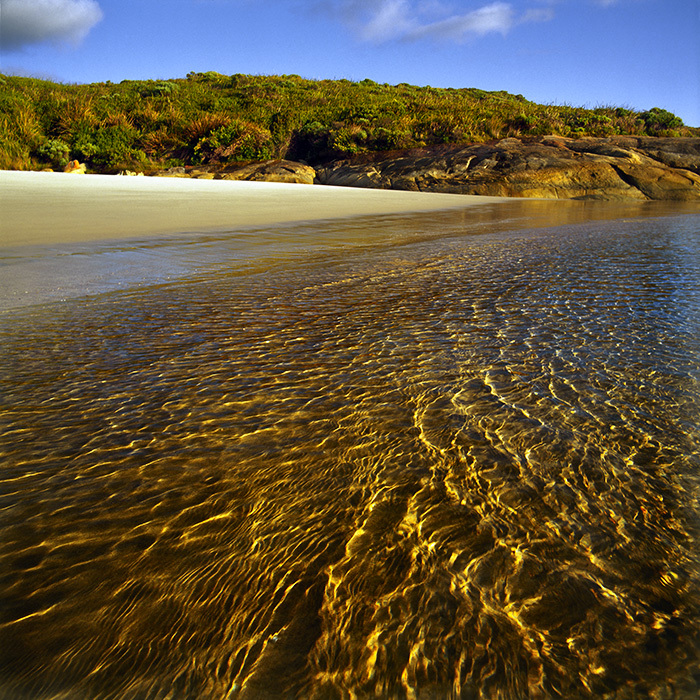 William Bay National Park, South Coast of Western Australia. Sale Price is $585. 40% discount. Mainbreak at Prevelly Park beach. Shot well after sunset and with an exposure of over a minute, this image really portrays the beautiful winter moodiness of the Margaret River Coast. Margaret River Region, South West of Western Australia. Framed in a dark timber and gold frame with a matching blue matt. Sale Price is $280. 40% discount. A stately remnant of what once used to cover most of the South West of Western Australia, Boranup Forest is a beautiful place to wander in the bush and hopefully, teach us to learn from our mistakes. 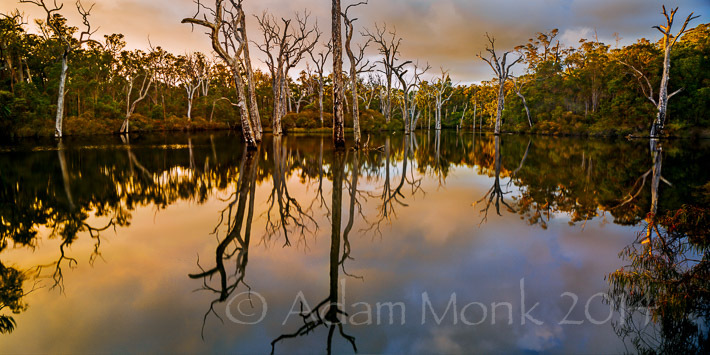 Margaret River region, South West of Western Australia. Sale Price is $715. 35% discount. A cool fresh early morning at the Margaret River Weir. Not a breath of wind down here, but up high the clouds were slowly moving past dropping gentle showers of rain in their wake. This shot was in-between showers just as the first rays of sun hit the tops of the trees opposite and the high clouds briefly burst into colour. Ten seconds later, it was gone and the rain settled in more seriously. Margaret River Weir, Margaret River. South West of Western Australia. Sale Price is $1,020. 50% discount. Limited Edition of just 50 images total. Sale Price is $600. 50% discount.